Can print content marketing be a reality? Home/Sales & Marketing Tips/Can print content marketing be a reality? Content marketing has become one of the most popular strategies used by firms in virtually every industry and region of the world today, while the vast majority of these programs have been wholly contained within digital environments. Blogs, optimized articles, research reports, white papers, case studies and many more forms of content marketing are helping brands build their stature in their respective markets, taking thought leadership to the next level. 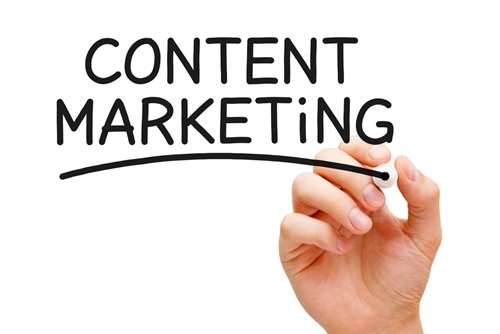 However, who is to say that content marketing has to be completely contained within the Internet? Not so long ago, people were not getting the majority of their information from the World Wide Web, and recent studies have more than proven the preferences of a wealth of consumers and corporate purchasers for print-based ads and marketing communications, which has been marked by the slowing decline in demand for such assets. One can make the argument that building a content marketing strategy out to include physical print collateral is among the clearest and most effective ways to separate the brand's processes and image from those in its market. Given the already saturated conditions on the Internet today with respect to brand positioning and marketing, the time might be now to take a bold step such as this one to get your prospects talking and engaged with your company. Content marketing is not as young as many think – newsletters, research reports and the like have all been around for decades, although they were once most popularly distributed through paper mailing systems and general print delivery. Now, first and foremost, it is worth noting that a company would not be able to distribute these types of content marketing assets to as many customers in a print strategy as would be possible in digital programs, but this should not actually be viewed as a negative. Rather, some of the most important trends taking shape in online marketing are relating back to the specialization of strategies, with companies focusing on a smaller amount of targets to ensure higher conversion rates. After all, simply getting the name of your brand into the minds of customers who might or might not have any intention on doing business with you is not going to come with all that many advantages from a financial standpoint. By enacting a content marketing program that distributes the publications in print form, marketers will be forced to ensure that they are only creating as many assets as necessary to reach a very specific and tailored group of prospects. Newsletters in paper form, subscription-based research project distribution and even simple letters from the staff to current and prospective clientele can end up creating a more distinct split between one company and the next. So, the first steps in launching one of these strategies would be to research the prospect pool and get a better idea of which individuals or groups would be most receptive to print-based content marketing distribution. Starting these plans small and building them out as the company – and, more specifically, the marketing department – becomes comfortable will work to reduce the risk of wasteful spending or poor execution of plans. Should online, offline pursuits be segmented? The easy answer to this question is actually yes and no. The company would not want to get caught spinning its wheels by trying to create the exact same plan of action for their online and offline content marketing strategies. Rather, it should always strive to balance unique processes for each while maintaining consistency across platforms and mediums. To be clear, the most effective marketing strategies will exude a consistent brand image regardless of which channels the information is traveling through, but also having some distinguishing characteristics to separate one mission from the next. The same goes for online and offline content marketing strategies, as the general brand image will need to be consistent but communications and general design involved in delivery should be at least somewhat unique to the channels being used. With the help of a proven print provider, businesses can begin to go old school, capitalizing on the still widespread preferences for physical publications through a highly novel strategy. By Wise Marketing|2017-01-05T18:51:42+00:00January 23rd, 2015|Sales & Marketing Tips|Comments Off on Can print content marketing be a reality?